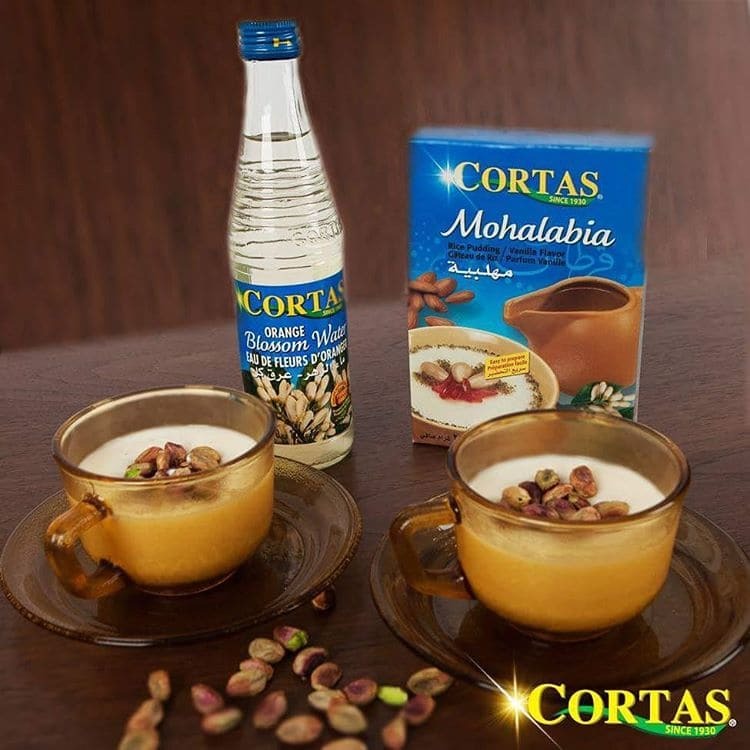 Mohalabia is a light and delicious Middle Eastern dessert. Its made of sugar, rice flour and vanilla flavor. 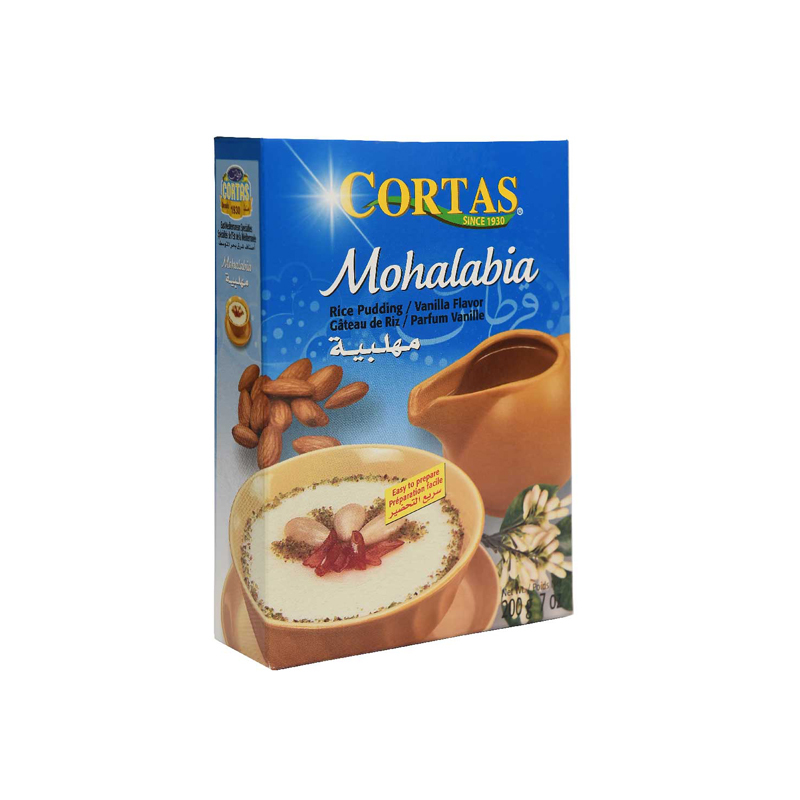 in a fire-proof saucepan, dissolve the content of Cortas Mohalabia pack in 4 cups of cold milk. Put on fire while stirring occasionally, until boiling. Once the desired consistency is reached, transfer to individual dessert bowls and let cool. Decorate with nuts and almonds, and / or any of the fine Cortas Jams. Serve chilled.